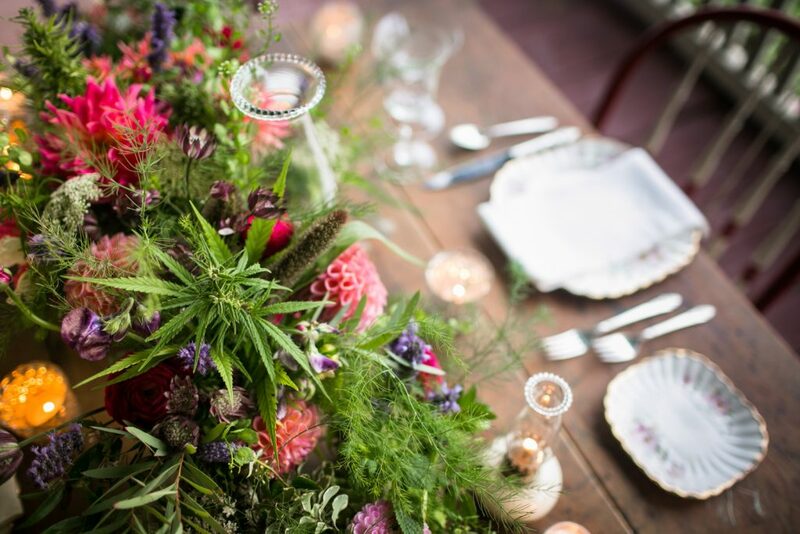 Now that Vermont has legalized recreational cannabis use (starting July 1), I’ve no doubt that a number of folks will consider Vermont as a destination wedding locale of a very different kind! Certainly Vermont’s long agricultural history, our numerous artisans, and our deep commitment to social justice will likely make our canna-wedding options as beautiful, luscious, and personable as as the wedding pros of our Brave Little State can muster! 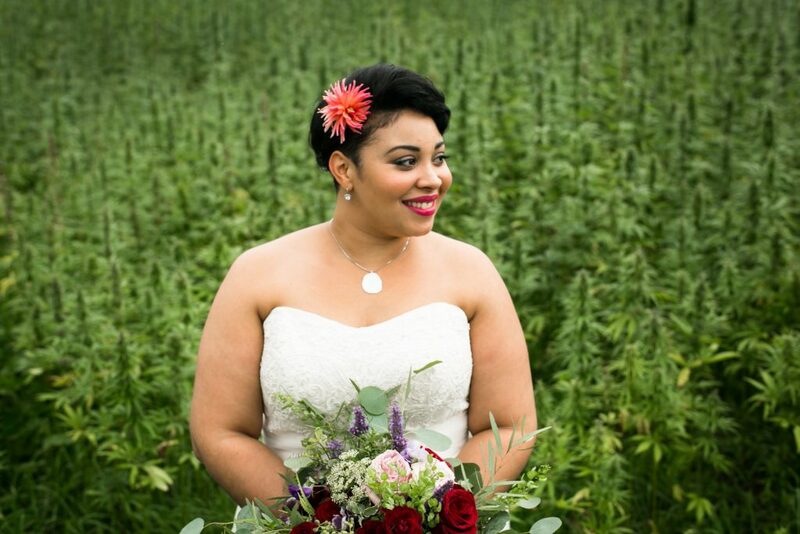 Already we have herbalists like Lauren Andrews of AroMed creating cannabis-based skin care products, food vendors like ZenBarn and Monarch and the Milkweed cooking up CBD-infused delicacies, a number of cannabis-friendly wedding venues, and a wide range of massage therapists and yoga studios that include CBD in their offerings. Once legalization is official on July 1, no doubt recreational cannabis will enter the nuptial picture in full force. Still, rules are always changing and as Culture Magazine reported recently, vendors are going to have to bone up on the most current legislation to make sure they’re operating within the scope of the law. In fact, the challenge in Vermont right now is that while we’ve legalized for personal and medical use, we haven’t yet created a commercial market with a complete system of taxation and regulation. 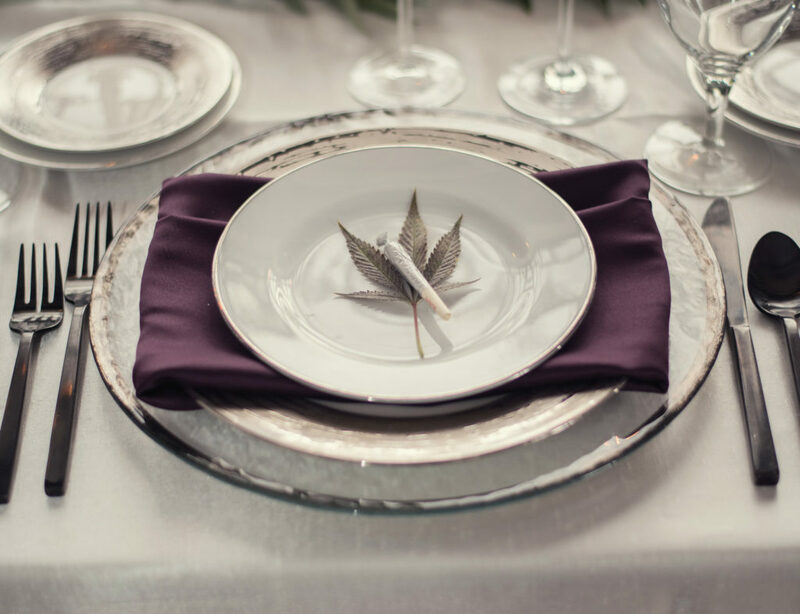 So, if you’re interested in a cannabis-themed wedding, want a little bud to smooth some jittery pre-wedding nerves, or hope to have smokables and edibles be part of your reception, it’s best to ask your vendors up front about what it will take to responsibly and legally incorporate cannabis products into your day. As it happens, I have a day job with a cannabis advocacy and news organization called Heady Vermont, and am fairly well connected in the industry. Plus, there’s a growing overlap between wedding folks and the ganja world, and Vermont is already a pretty small place to begin with. Which is all to say, if you questions, please ask! If I don’t know the answers, I’m probably one degree away from someone who does! 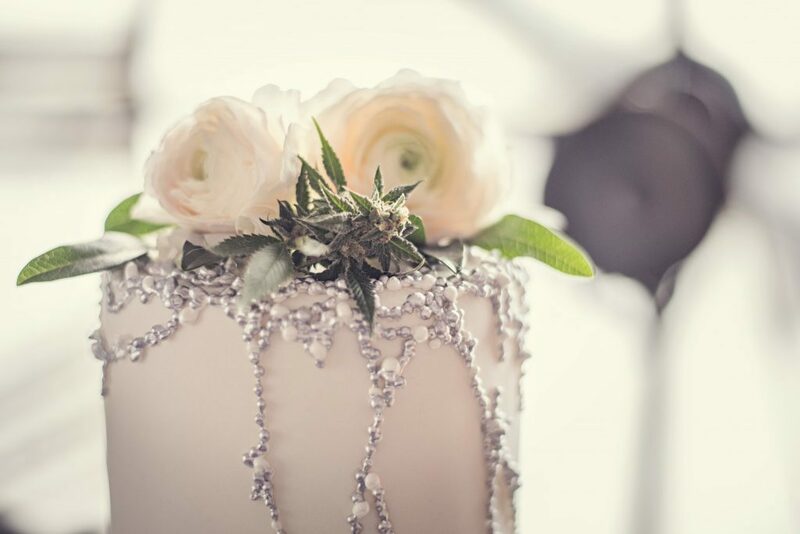 This entry was posted in Cannabis, Marital Miscellany, Wedding Advice, Weddings by Kathryn. Bookmark the permalink.